TORONTO -- There have been at least 29 homicides in long-term care homes in Ontario in the past six years, a health-care advocacy group said Monday. The Ontario Health Coalition released a report on violence in the homes, and the homicide numbers come from the coroner's office, which doesn't assign blame in a finding of homicide, but defines it as one person causing the death of another. Natalie Mehra, the coalition's executive director, said a resident with dementia may be aggressive toward another resident, resulting in their death, and while there is no criminal intent, it's a tragedy for all involved. "The level of homicide in Ontario's long-term care facilities is higher than virtually anywhere else in our society," she said. The actual total of long-term care homicides is higher than the 29 found in the coroner's data, Mehra said, because they don't include the victims of nurse Elizabeth Wettlaufer, who confessed to murdering eight patients, some of whom were killed in the report's time span. When considering those statistics in the context of Ontario having about 80,000 people living in long-term care homes, that's a homicide rate four times the city of Toronto, Mehra said. "When we dug a little more deeply we looked at other types of violence in long-term care, we found that the violence rates all around, not just homicides, were escalating, and that homicides are the extreme end of a continuum of violence that is escalating in the homes," she said. 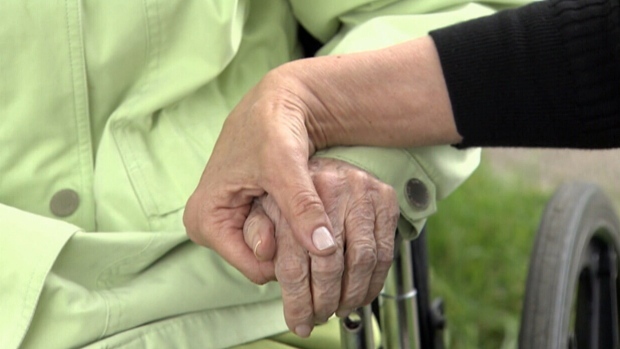 They are also calling for increased use of behavioural supports teams, which help long-term care homes manage individuals with aggressive behaviour due to dementia or other conditions. Half of Ontario's long-term care homes have no in-house behavioural supports resources, the coalition said. "Ontario's long-term care homes have not been resourced to increase care levels commensurate with the offloading of significantly more complex patients," the report said. "Our research shows that long-term care beds are funded at approximately one-third the rate of chronic/complex care hospital beds." Candace Chartier, the CEO of the Ontario Long-Term Care Association, said a minimum standard of care is a "cookie cutter" approach that may not make sense. "Not every resident in the province needs the same level of care," she said. "We are optimistic with this new government, they are putting more beds in the system." "Ontarians in long-term care homes deserve to live in a safe and secure environment," said Hayley Chazan. "We will continue to listen to patients, families and frontline providers as we develop our long-term transformational health strategy."